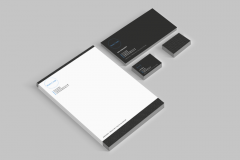 Letterheads are part of our business stationery range. All our business letterheads have a variety of options and are environmentally friendly as all stocks are from 100% sustainable sources and meet FSC standards. If you would like some letterhead samples, please complete a print sample request. You will receive your samples within 7 working days. Our low cost letterheads are available in full colour on 100gsm or 120gsm stock. These are a great option as you can keep the costs low whilst still maintaining a quality finish. Our deluxe letterheads purvey quality. Choose from either the ultra smooth CX22 Conqueror paper which looks and feels QUALITY. The full colour deluxe letterheads are not batch printed; you'll find a price matrix within. All Conqueror papers are FSC certified. Or eQuest, a watermarked, batch prints alternative to CX22. 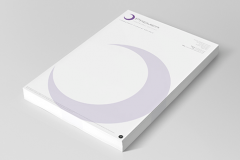 Our recycled letterheads are ideal when wanting to convey your environmental stance. Our full colour eco office range of products are 100% post consumer reclaimed material which conforms to FSC (forest stewardship council) standards. All items are printed in full colour with vegetable based inks and are fully supported by www.recyclenow.com. 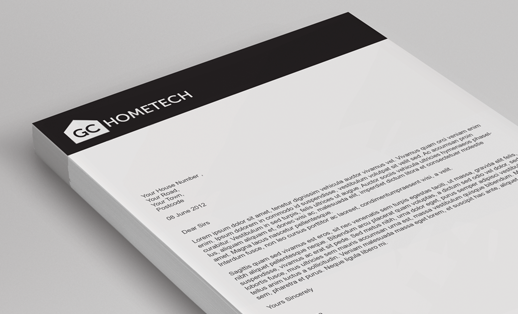 Make sure your request a letterhead sample before you leave. 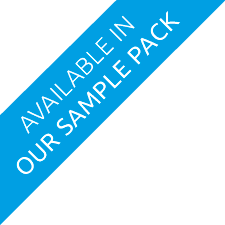 Our sample pack includes a variety of business, corporate and promotional print items so you can get a feel for the quality we can produce.